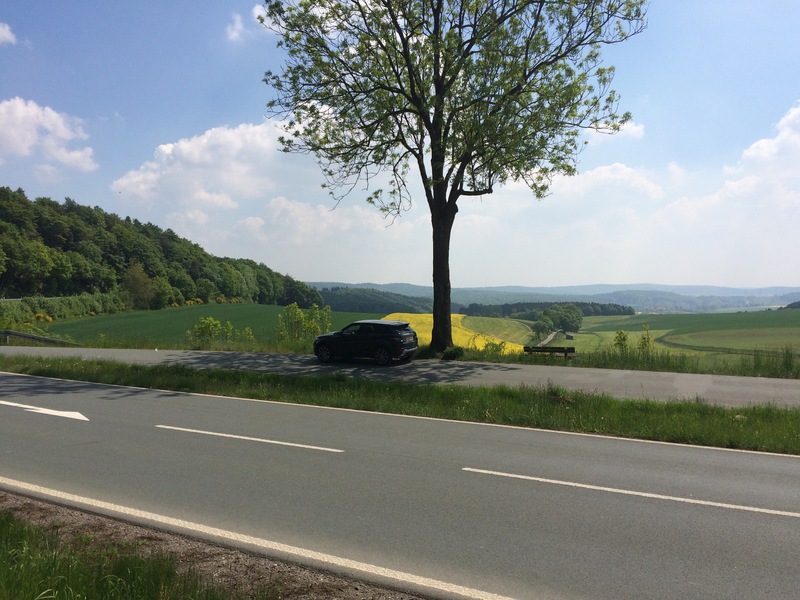 The first 775 miles from London to Berlin through France, Belgium, the Sauerland ski region in west Germany and the quiet A38 via Leipzig. Opting for the E42 route to eastern Belgium from Calais to avoid rush hour jams on the R0 Brussels ring road. Luckily road works into Lille and Charleroi don’t slow me down too much. 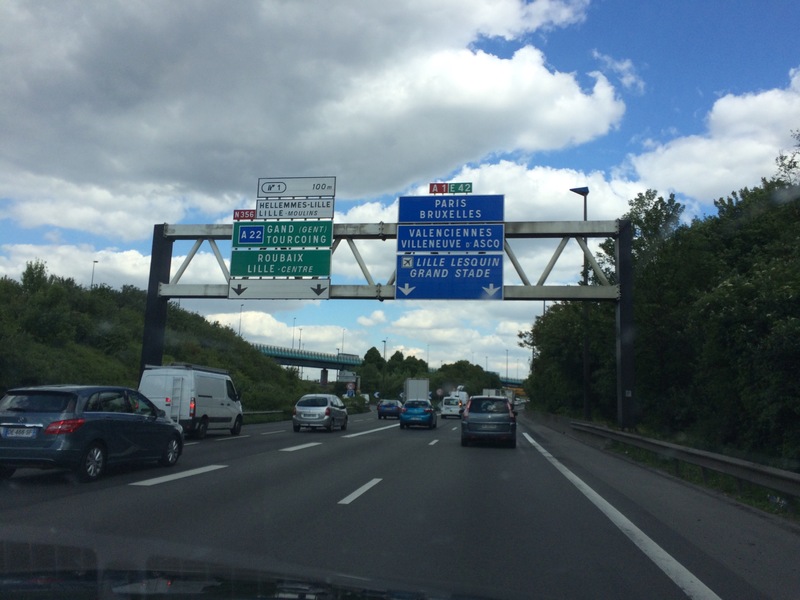 Recent new rule in Belgium, late merging. Don’t join the free-flowing lane until the point of the lane closure. Seems to work well. 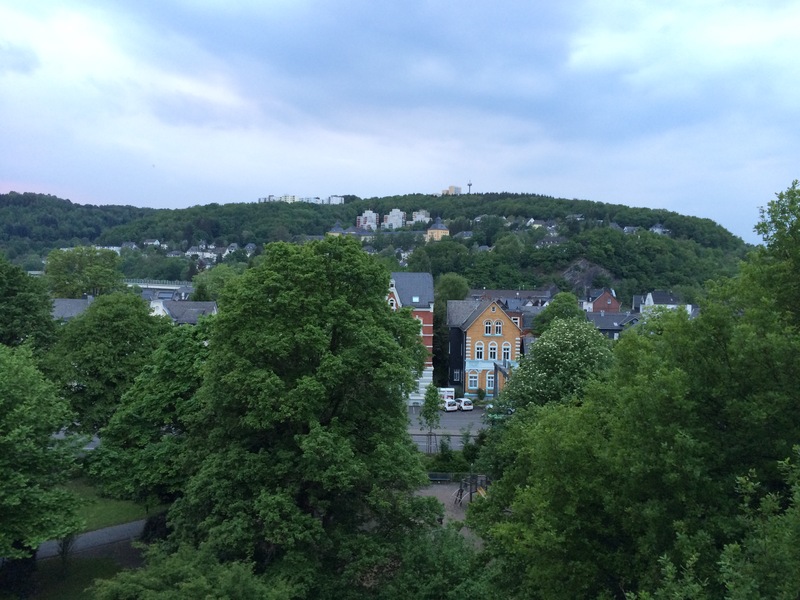 Siegen, nestled in wooded hills to the east of Cologne. The final stretch of A4 autobahn twists and turns through the Wald, very quiet and mostly unlimited. The Sauerland, the hilly/mountainous region between Cologne in the west, Kassel in the east and Frankfurt in the south. Siegen lies on the south west edge. 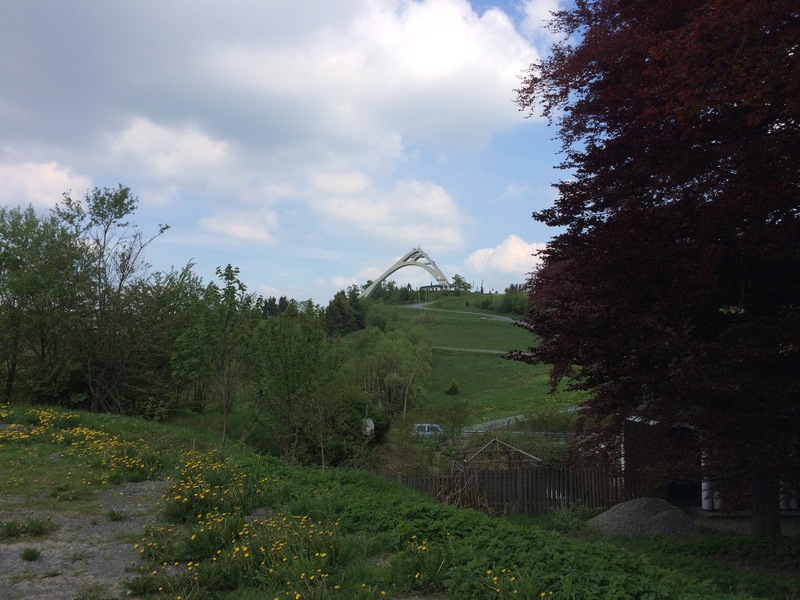 Winterberg. One of the Sauerland’s most popular skiing resorts, especially with the Dutch. Less than six hour’s drive from Calais. Has a ski jump, above, and bobsleigh run. At 2,500ft it’s not high by Alps standards but they had LOTS of snow this past winter. Note: you need winter tyres – marked M+S – in Germany in snow/ice. 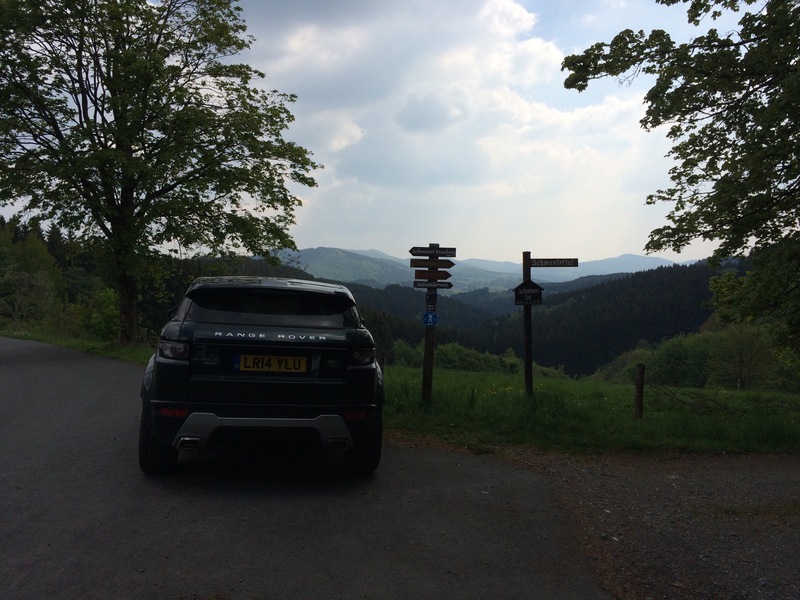 The drive from Winterberg to Kassel cross-country is the best of the day. Finally in Berlin after 775 miles in total, the last bit on the A38 and A9 via Kassel and Leipzig rather than the accident prone A2 from Hannover. 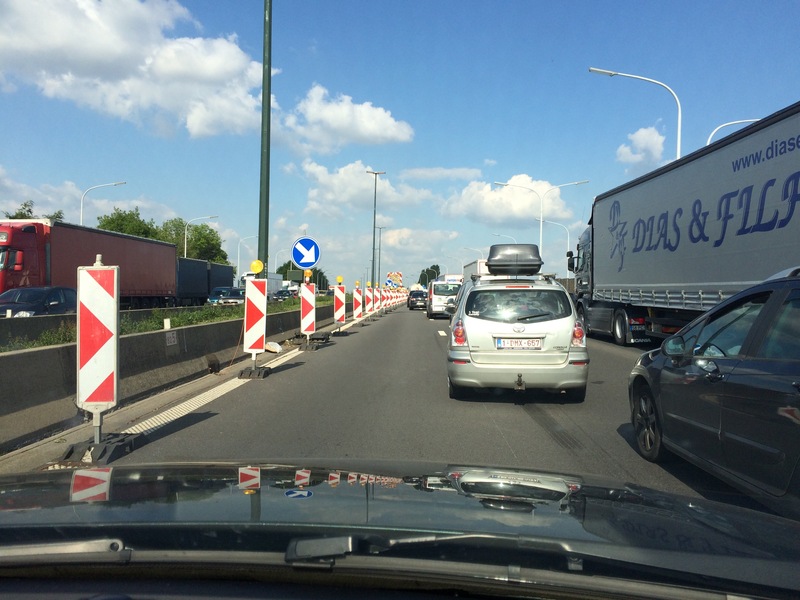 Very lucky with traffic on this Friday getaway day ahead of the ‘Pfingsten’ (Pentecost/Whitsun) holiday weekend, even on the dreaded A7 at Kassel. 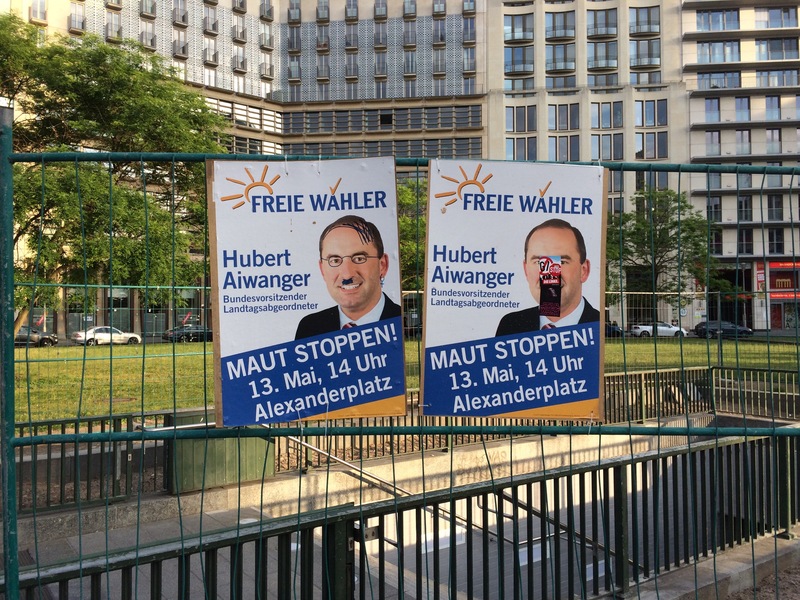 A defaced poster for the – very poorly attended – demonstration against the German ‘foreigner road toll’. 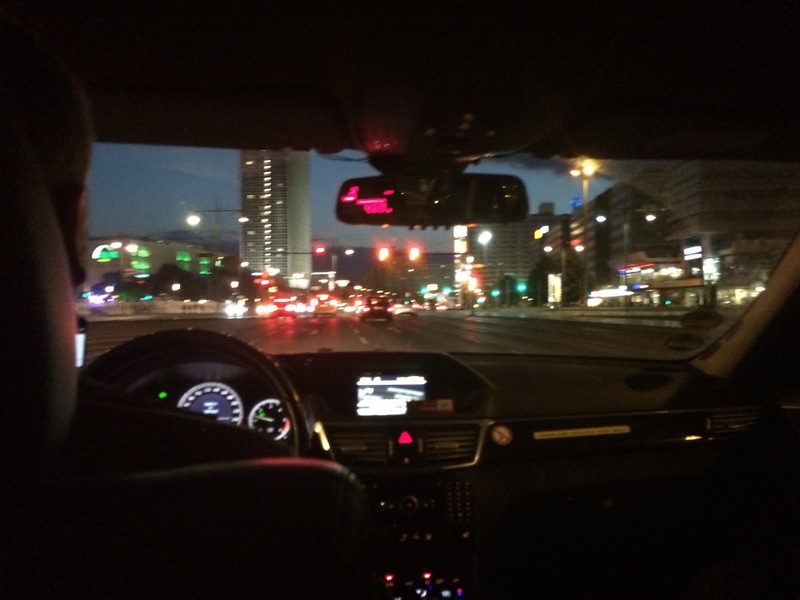 Slightly blurred late night Berlin after dinner at Ristorante a Mano on the Stalinist Strausberger Platz, at the top of Karl Marx Strasse, in the former east. Can definitely recommend for those wanting real Italian food. 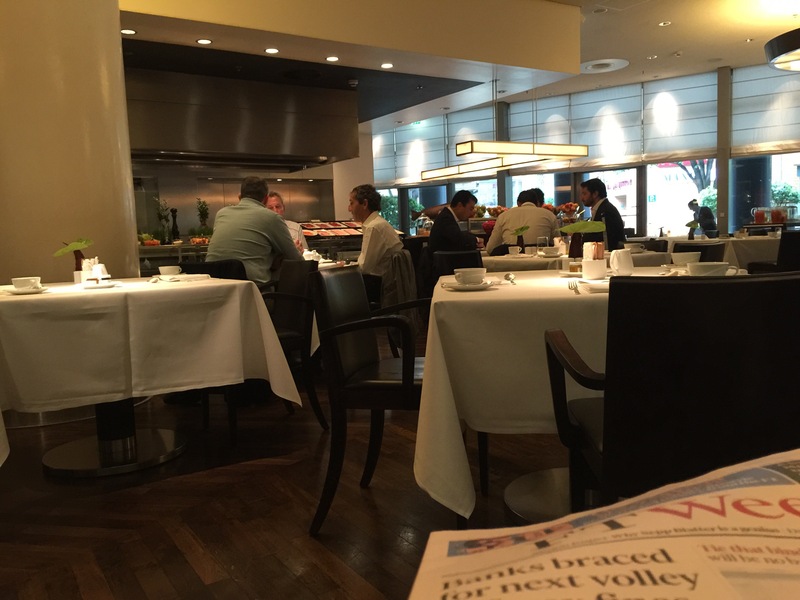 Yes, that is four times Formula One world champion Alain Prost at breakfast. 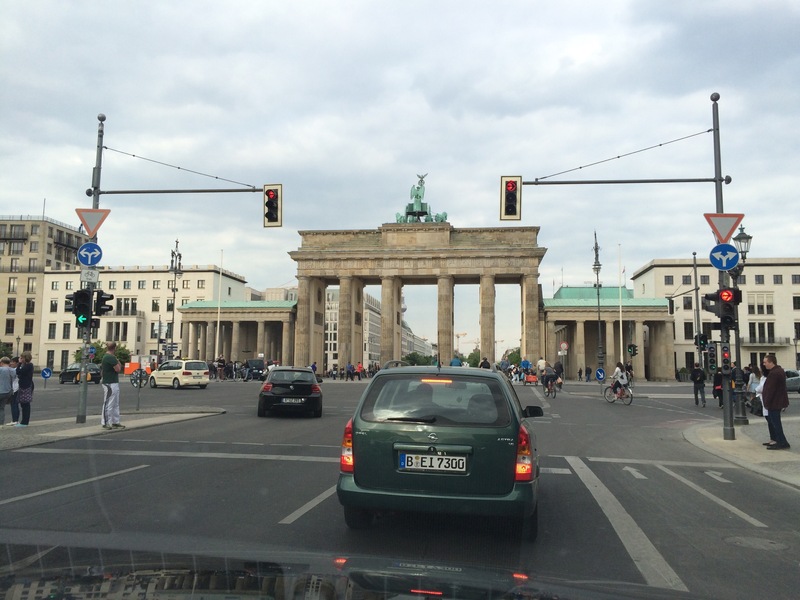 Have been moaning about Grand Hyatt Berlin – great location at Potsdamer Platz but no view (not from our second floor room, anyway) – but it’s obviously much better than I thought.